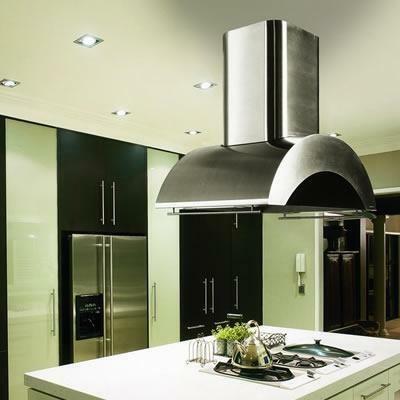 This island range hood with glass accents is designed for use over most professional-style cooking equipment. Fixed length stainless steel rail is standard on this model. 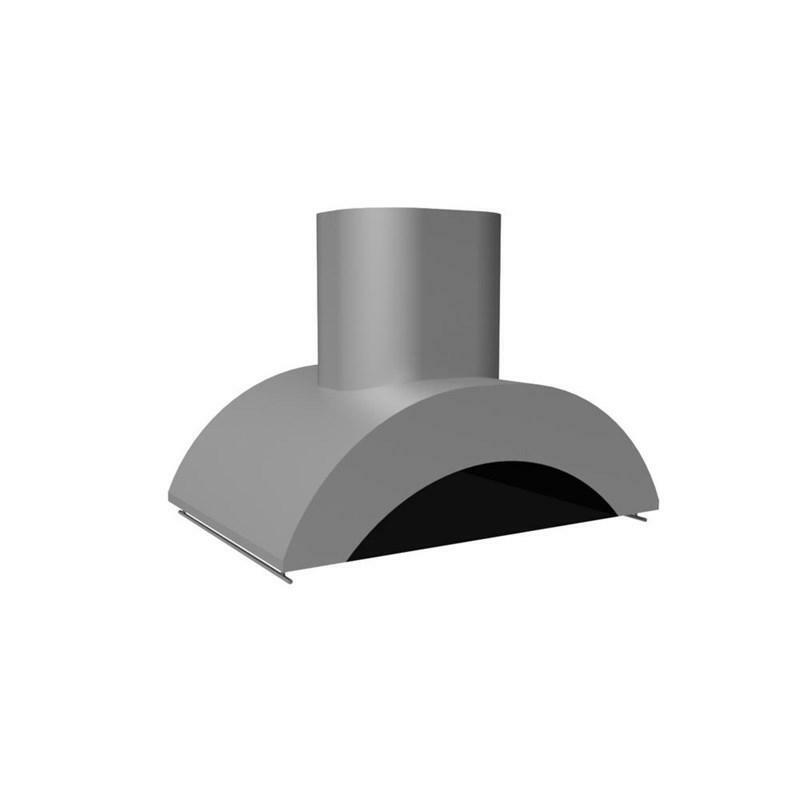 Hood only available in stainless steel. 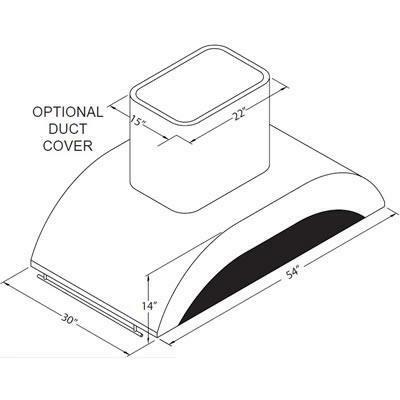 Shown with matching island duct cover (sold separately).